A very intensive 10-day leg from Spanish Vigo to French Vannes awaits for us mid-May. Shtandart will have to cover 540 nautical miles, cross the Bay of Biscay famous for having an unruly character and arrive to the Gulf of Morbihan in time for the beginning of the colorful Tall Ship Festival “Semaine du Golfe”. 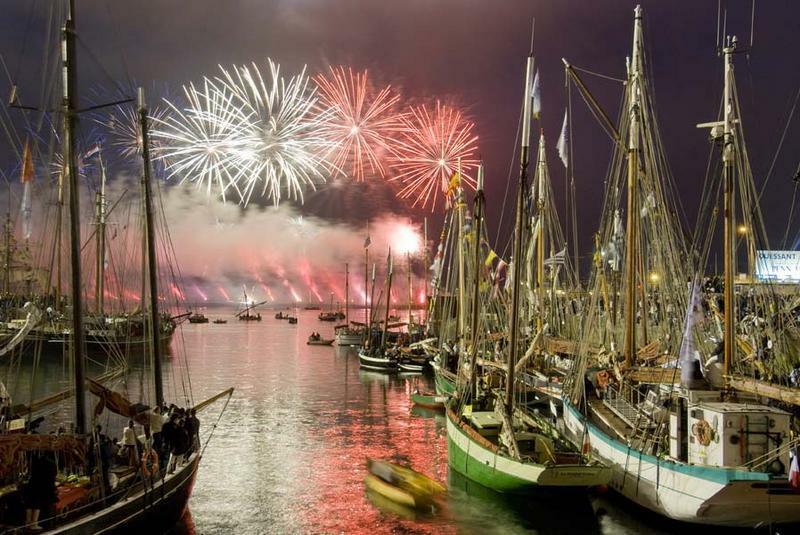 Dozens of incredible tall ships from all over the world will come to Vannes. And of course we’ll get to visit them to sneak a peek at how the crew lives aboard the other ships. How do their navigation rooms and saloons work out for them? What about the galley, and, oh, even the head? Before the start of the regatta the participants get to enjoy an exciting shore program: live music, a crew-parade, an art and craft fair and so on and so forth. But before that we have to muster all our bravery and strength and accept the Biscay challenge. This bay is rarely calm: headwinds, swell and magical flying pots and pans in the galley won’t let you get bored either on your watch or stand by watch. But isn’t that what we go out to sea for? To experience its’ power and conquer and tame its’ wild character! With the Captain and the watch officer by your side, there’s nothing you cannot do! 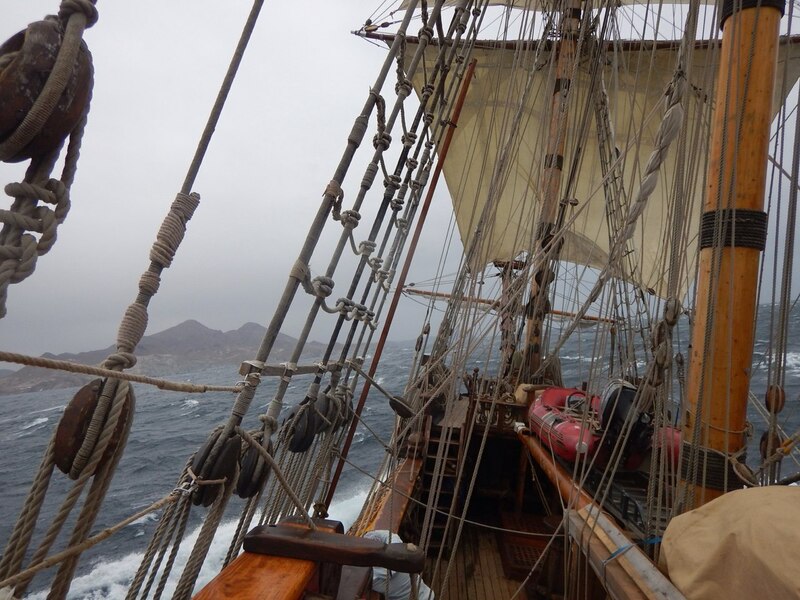 This leg is your opportunity to learn to handle the ship in any weather and any condition, in the swell and doldrums, day and night, with a compass and a sextant. 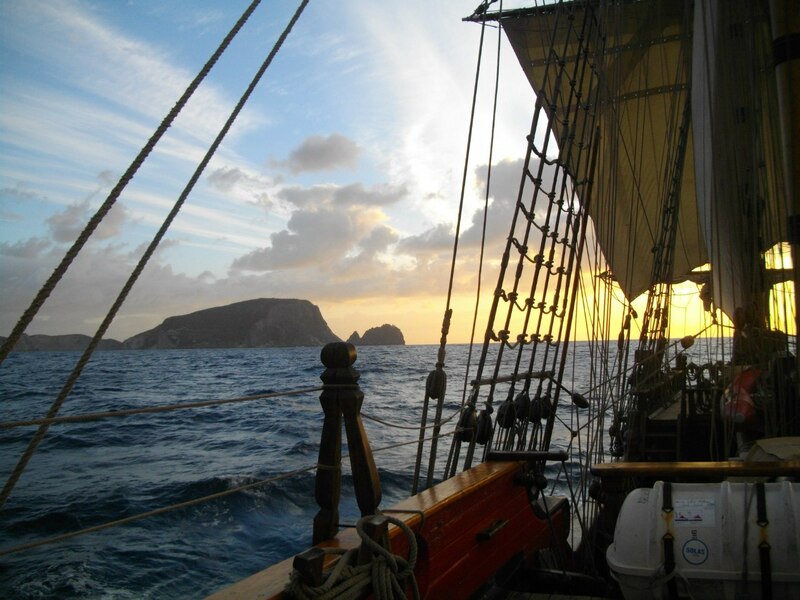 In these 10 days you’ll learn to precisely trim the sails, hold your course at the helm, and after your first climb to the masthead, the crow’s nest and the main topgallant yard will no doubt become your favorite places in the world. The view is so breathtaking that no fear of heights (if you happen to find it inside yourself) can beat it. Along the way we plan to visit the ports of La Coruña and La Rochelle. La Coruña is a fairly large Spanish port with the oldest working lighthouse in Europe, the Hercules Tower, that was built in the days of the Roman Empire. La Rochelle, the city of templars, is known – apart from the picturesque historical city center – for the German submarine bunker remaining from the World War II. From there it’s just a stone’s throw to Vannes. There our trip will be over and Shtandart will continue on to Ireland.